“My mother looked like she walked out of Saudi Arabia,” he says. “And my brother looks very Arabic, like someone out of ‘Lawrence of Arabia.’ ” So he took the second test, which broke down his European background as 45 percent Northern European, 25 percent Middle Eastern, 25 percent Mediterranean (Greek/Turkish), and 5 percent South Asian. Though his brother has a darker complexion, he tested for nearly identical ancestral DNA markers, Kennedy says, just as would be expected of two brothers. Obviously there is no reason that the functional genes that cause the “dark” phenotype in question are going to correlate well with ancestral markers between siblings,1 but in any case, though this individual got a “hit” that “explains” the out-of-the-norm phenotype for his family based on their ancestry…I suspect there are many swarthy individuals of British ancestry out there who didn’t find anything interesting. After all, as I’ve noted many a time, the tribal peoples of the Welsh highlands were so dark that the Romans assumed they must have been branch of the Iberian peoples (they were somewhat right). 1 – If you could intuit ancestral portions just from phenotype, why are you getting the test anyhow? In any case, over generations a tight linkage between various markers that are normally correlated with particular ancestries and phenotypes can break down due to recombination. I don’t talk much about political stuff…but this is weird enough to pique my interest. Of late there is some talk that Grover Norquist is now a Muslim. Here is an entry at Daniel Pipes’ site that sums up the situation: Norquist married a 32 year old Palestinian American Muslim in early April. He has also reportedly avoided answering whether he himself is planning on converting (according to most accepted forms of Islamic law a non-Muslim man may not marry a Muslim woman). Another article at Washington Jewish Week reports that orthodox Rabbi Daniel Lapin introduced the couple at the wedding, where they were married by a Justice of the Peace.1 If Norquist was converting to Islam it seems peculiar that Daniel Lapin, a relatively prominent figure among conservative Jews,2 would attend the wedding in such a sanguine fashion. I would bet that Norquist is dodging answering the question about being a Muslim because of concerns about opprobrium directed toward his wife. I would also not be surprised if Norquist had made a pro forma declaration of the shahada3 (profession of faith) to follow the letter of the law even if he is personally not a Muslim in spirit (Yasser Arafat’s wife converted to Islam pro forma for political reasons, she has been observed praying to Jesus during Christmas services in a rather emotional fashion). Addendum: Here is an old TNR piece that profiles Norquist’s relationship to some Muslim groups. I don’t think Norquist is an “Islamist,” but, some of his assocations are pretty sketchy-and he seems to be in cahoots with a portion of the American Muslim community that does have a relationship to activities which are obviously Islamist. That being said, if you work “degrees of separation” it is pretty easy to connect any given individual to strange groups and individuals. If Norquist’s relationship to this woman is long-standing it would not surprise me if personal feelings did influence his coalition building, but personal feelings does not necessarily equal grand geopolitical machinations. 1 – In Islam marriage is a civil contract, so there needn’t be a religious element to the wedding. 3 – This sort of thing is not limited to Muslims, a friend of mine had a relative who converted to Mormonism (at least on paper) so that he could attend his daughter’s temple wedding (non-Mormons can’t go into Mormon temples). The Mormon church though said it wasn’t a sincere conversion, so he was excluded from attending. Carl Zimmer passes on a report of a community of Pygmy Negritos a mile from the site where the Flores Hobbit was excavated. 13,000 years is a long time to maintain local continuity, but who knows? A few weeks ago John Hawks declared that the Flores specimen is pathological. I feel like I’m starting to smell Cold Fusion…. Monday 9.00 p.m.: Riddle of the Human Hobbits: an Equinox special. Oh, and for Wagnerians, BBC2 next Saturday (May 7) has Acts 2 and 3 of Die Walküre, provided Bryn Terfel hasn’t lost his voice again. Of course, I can’t vouch that the programmes will be any good. The Evening Standard preview gives the Dr Tatiana series 4 stars out of 5, but today’s Times describes it as ‘totally unwatchable’. The one certainty is that Olivia Judson wears a white mini-skirt. In 1204 a Western European contingent of “Crusaders” took a detour and ended up sacking Constantinople. The act has not gone down with honorable mention in the annals of history, my personal impression is that historians who tend to try and withhold judgement on happenings that today we might find distasteful have a hard time keeping an even tone about this event. In The Fourth Crusade: and the sack of Constantinople1 University of London historian Jonathan Phillips draws heavily upon primary sources to paint a narrative of the events themselves and the causative factors that resulted in the sacking of a Christian city by Holy Warriors ostensibly intent on smiting the heathen. Phillips manages to imbue his text both with sympathy for the desperate circumstances which drove the Crusaders to sack Constantinople and the horror of the Greeks who watched as the “Queen of Cities” was defiled and ransacked. As someone with mild antiquarian predilictions I had a difficult time reading the accounts of how avaricious the Westerners were toward works of art and monuments that had been fixtures since the time of Justinian. In any case, two interesting issues resolved themselves in the pages of the book for me. It seems clear that the Crusaders were sincere believers in the Christian message and their mission to the Holy Land was not driven primarily by material considerations. But they were not blessed with luck and financial debts incurred by their alliance with the Venetians resulted in side-ventures to even the ledger. First they sacked the Christian city of Zara in Dalmatia, and second they sailed to Constantinople, originally to “restore” a claimant to the throne who promised them great riches, but eventually to claim the city for themselves. But this was not the plan of the Pope, who sent letters stating that men who fought in the name of their Christian faith should not, and could not, attack Christian cities and peoples, on pain of excommunication. As I stated above, I find it plausible that the leaders of the Crusade were sincere believers, but in connivance with some of their clerical contingent they kept the news of Papal displeasure and wrath from their followers. Were these men willing to sacrifice their eternal soul so as to fulfill financial obligations? Judging from what little I have seen in studies of modern believers I doubt they believed any such thing, somehow I suspect they squared defiance of the Pope with their sincere and true faith. The point is that what goes on between the ears is a mysterious thing to many, and no matter what it says in the Book of God or the sermons preached by the Men of God, individuals will make of their faith what they wish. 1 – The sack is described in detail in one of the last chapters. It reminded me a great detail of narratives that chronicle the sack of Louyang in China in 311 by barbarians. 2 – I am not totally convinced that the dichotomy between the conversion of the Mediterranean and northern Europe is as strong as some scholars make it out to be, but there was definitely a difference of degree. With the conversion of the commanding heights of the imperial regime to Christianity no great amount of fiat was necessary for most of the populace to shift toward the new faith, a process that took centuries in some locales (Justinian was sending missionaries to central Anatolia in the mid-6th century). In contrast, the conversion of some northern European nations was more confused, as officially there was no organized pagan presence after the conversion of the king (in the Mediterranean ancient senatorial families and the philosophical class continued to promote paganism at the elite level after Christianization of the emperors), but on the ground there was a great deal of heterodox belief and practice and a general lack of knowledge of the basics of the new religion. Many thanks to Razib for inviting me to guest-blog here at Gene Expression. It really makes me angry when LGF is criticized for being a “hate site”. That just demonstrates a complete and total misunderstanding of the value and importance of LGF, and of its essential function in the WoT. Charles Johnson is routinely vilified by people on the left for writing what the rest of us consider simple truth. For questioning whether Islam is in fact the “Religion of Peace”; for bringing to light stories about honor killings, Jew-hatred, terror, and thuggery among Arabs, Charles is branded a “racist” and a right-wing extremist. There are some things which simply cannot be said in polite company. Larry Summers, the President of Harvard University, discovered this fact to his detriment. He had the misfortune to suggest the possibility that there might be innate differences between the sexes that would explain their disparate performance in the sciences. Never mind the fact that his statement was backed up by reputable peer-review studies in the fields involved: he had spoken heresy within the Church of Orthodox Secularism, and for that he had to be punished. He may yet be excommunicated. Most of the forbidden topics seem to involve race in one form or another. If one attempts to explain the disparity in academic performance between whites on the one hand, and blacks and Hispanics on the other by anything other than white racism and oppression, one is deemed a “racist” and will be thrown into the outer darkness. By the same logic, of course, Asians and Jews must have been favored races in the past; how else to explain their uniform superior performance in academic subjects? But saying this, too, is evidence of racism. The premise of the Ethnic Simulator is that ethnically distinct groups have a modest preference to live among their own kind. In Metropolis there are five ethnic groups –- Blues (the majority), Greens, Reds, Grays, and Yellows. The application allows the user to set the percentage of preference of each group for its own kind. The default is 50% — that is, each ethnic group would prefer that at least half of its neighbors to be of the same group. The dominant paradigm that explains all these issues — call it “political correctness”, “multiculturalism”, “progressive thinking”, or what you will — is an Evolutionary Stable Strategy (ESS), that is, a strategy such that, if all the members of a population adopt it, no mutant strategy can supplant it. In order to maintain its supremacy, it has to ruthlessly extirpate all alternative strategies. No deviance from the received wisdom is allowed, and the penalties must be severe enough to completely discourage such deviance. What lends strength to “political correctness” is the human desire to not be judged a bad person by others. People go around thinking “I must not express opinion X, because it will cause all my friends to think less of me and ostracise me”. For PC to stand, there must be control of media and public opinion, so that people with politically incorrect views are made to think they are in a small minority of opinion, regardless of reality. Papa Bear has hit the nail on the head: the shame of being judged wrong, or even evil, by our compeers is enough to keep us in line. But alternative memes are afloat now in the wider culture: ESS, beware! Also posted at Gates of Vienna. Yet there’s another way to look at it: makes for a better party! What if the African love of (and genius for) rhythm, and the Asian love of (and genius for) negative-space, and the Italian love of (and genius for) look-and-feel-and-melody … Well, what if they’re manifestations on the cultural plane of DNA? Or at least DNA interacting with what’s encountered in the environment? My skepticism of “biocultural” models is drawn from my interest in history. I find “national stereotypes” to often be rather ephemeral creatures.1 Essentialist models are sometimes useful, but I generally feel most people either do not display the requisite caution or possess a large enough data base to construct a system that can dodge even trivial falsification. Consider the Italians. A melodius people, outgoing and voluble. Lacking in discipline and rife with corruption. After all, these were the traits that allowed them to conquer the tribes of northern Europe, who in contrast were shaped by their genetics to be more efficient and orderly, no? Their natural artistry drew them to philosophies like Stoicism. And we all know that the ancient Italians surpassed the Greeks in their rendering of the physical form in all its manifest perfection! Or consider the northern Europeans, a naturally introverted people who stay clear of crowds, fearful of battle and conflict, eternally prone to neutrality and passivity. Ask king Aelle of Northumbria of the meekness of the men of the north. Or ask Charles the Bald. Or Peter the Great. Perceptions of “national character” change. I do think that there are average differences in the frequencies of alleles that control for particular behavorial predispositions, but I also tend to think that the speculations people can spin based on the obvious phenotypes are often unsound when viewed on a historical scale. The point is that the character of a nation or culture is an emergent property of the interactions of the people within that culture, biological predispositions are heavily mediated and transformed by particular parameters of the time and place (the “shy” phenotype is a lot more tractable than the “peaceful” phenotype, the latter is a really squishy tendency that is highly contingent on context). I think Greg and Henry’s ideas based on the variance in DRD4 allele is the right way to go when examing intergroup behavorial differences, but, such things only tell us the tendencies of individuals, they do not necessarily imply a particular cultural model. I think genetics can give us clues as to the bounds and probabilities of the cultural expression of any given group, but that still leaves a lot of room for variation and elasticity of the “national phenotype,” especially as a function of time. Which should be good for thinkers that work outside purely scientific/faux-scientific analytic modes! More room for intuitional impression. 1 – One of my critiques of Gary Nabhan in the review of his book was that he tries to have it two ways: first, evolution happens very fast (via selection), but second, modern populations should rely on the traditions of their ancestors because they have worked for so long. Obviously the high morbidity rates of some indigenous peoples transitioning to a high grain diet is selection, of a sort. Of course, that’s not a solution (at least a humane one), but I think Nabhan’s axioms are at cross-purposes here, and I think he knows it because he starts talking of tens of thousands of years all of a sudden, even though I don’t think it is plausible that distinctive folk traditions would have fixed for that long. Don’t blame this on Communism, this was the 1920s. Much of Noel Boaz and Russell Ciochan’s book covers the history and controversy related to “Peking Man,” but in the latter half of the book they propose two hypotheses that are of interest from a purely paleoanthropological perspective. First, they suggest that the extremely thick skulls of H. erectus was an adaptive response to intraspecies competition. They analyze the pattern of depressions, possibly due to injuries, in ancient fossils and use analogies to modern peoples to make their case. In particular the Australian Aboriginals serve as a model, not only do they have the thickest crania among H. sapiens populations, they practiced one-to-one “ultimate fighting” and intertribal melee as a way to resolve disputes.1 From what I can recall H. erectus exhibited more sexual dimorphism than modern humans, so I can buy into the hypothesis that male-to-male physical competition played an important role in sexual selection. Their second contention is less specific and more controversial: they want to rework the conventional paradigm battles between “Multiregionalism” and “Recent-Out-of-Africa.” Traditional Multiregionalism posited worldwide genetic exchanges between homonid demes maintaining species cohesion (or at least populational interfertility). Additionally there would be periodic selective sweeps. All of this in concurrence with deep time continuity in local regional phenotypes. In other words, a significant portion of the ancestry of modern Chinese and Europeans might derive from Asiatic H. erectus and H. sapiens neandertalis, or at least one can discern a phenotypic continuity (one does not always imply the other). In the case of ancient Homo erectus in Asia and modern East Asians the “shovel shaped incisor” is the canonical example. Traditional Recent-Out-of-Africa usually implied total replacement and an almost blitzkrieg expansion out of an African ur-heimat through the rest of the world. This expansion was often explained in terms of not just cultural superiority, but biological capacities which other ancient homonid populations lacked. In the domain of paleoanthropology it seems Europe is the strongest case of discontinuity, as an expanding wave of “moderns” seems to have swept aside a culturally and phenotypically, and likely genotypically, distinct population of “Others.” Over the past generation the paleoanthropological case, inferred from fossils, has been supplemented by an avalanche of genetic data, usually focused on the mitochondrial DNA and the Y chromosome (neither seem subject to recombination and are transmitted down an unbroken unisex line, at least to a very high order of aproximation). So in comes “mitochondrial Eve,” the African “Mother of us all.” Here you have a scientific hypothesis which had such a cultural resonance that many rational considerations are swept aside. Twenty years ago when Rebecca Caan, Alan Wilson and Mark Stoneking argued for “mitochondrial Eve” in Nature they were greeted by a NOVA special and the cover of Time magazine. No doubt if they had argued for a “mitochondrial she-wolf” they would not have received the same response. Not only does the hypothesis offer a modernist interpretation of the ancient Biblical story (think of how the Big Bang Theory has also appealed to the philosophical and religious biases of Westerners-no matter that it is correct), it also serves as a way to argue that “we are all related” in a more secular humanist liberal paradigm.2 Nevermind that the most recent common ancestor of all human beings likely lived around 3,000 years ago, the archetype of the Mother of us All walking the plains of East Africa ~100,000-200,000 years ago has a certain romantic appeal. But there is a problem with this narrative: even in the most extreme Recent-Out-of-Africa replacement theories where one single band serves as the font of modern humanity, there is more than one female within that band. Mitochondrial Eve is actually simply the lineage of a the mitochondrial DNA, not the history of our whole species (sampling error, random genetic drift, implies that most lineages will become extinct-the same process caused problems in the perpetuation of unbroken patrilineages during the reign of Augustus in Imperial Rome). The data from the Y chromosome has been used to support the Recent-Out-of-Africa hypothesis as well, though it is far less clear from what I can gather. But, new evidence that other loci might have different histories that are difficult to shoehorn into the Recent-Out-of-Africa narrative, as well as a earlier analyses, suggest that no matter what the genetic history of the mitochondria might tell us, the story is not finished. The authors of Dragon Bone Hill support what they term “Clinal Replacement,” offering that they are drawing upon population genetical ideas which are traditionally outside the realms of both paleoanthropology and molecular genetics, the two disciplines that have framed the Multiregionalist vs. Recent-Out-of-Africanist debate. They make repeated references to Theodosius Dobzhansky, who was one who generally promoted and favored Sewall Wright’s adaptive landscape metaphor, and I think the hand of that concept lurks in the background.3 The authors argue that though total genetic replacement is plausible in some regions, with the advancing population being clearly a distinct and distantly related species in Java and possibly Europe, in other cases it was more an instance of closely related homonid groups giving way to each other, so the genetic difference in any given locale might have been minor.4 Making an explicit reference to Alan Templeton, they seem to be positing an Out-of-Africa-Again-and-Again hypothesis, supplemented by their own palaeontological insights. We live in exciting times, though I am sure evolutionary biologists who grapple with human history have more mixed feelings. Addendum: One point of great irritation for me is that part of Boaz and Ciochan’s argument about pushing population genetics into the mix with molecular genetics and paleontology is that population genetics/molecular genetics in the context of human origins is an artificial dichotomy. Geneticists who are concerned with the mechanisms of gene regulation and the processes that mediate expression on the molecular level are not the drivers of the study of human origins (most of them are studying “model animals” that can elucidate fine grained molecular processes with greater clarity), rather, evolutionarily oriented thinkers who use molecular methods to make inferrences about phylogenetic relationships have been in the driver’s seat from the get-go. Many population genetics questions are now explored via molecular assays and some models start from first principles on the DNA base-pair level. Not all population geneticists are involved in pedigree analysis of fly phenotype (though that goes on too) or sampling fish in isolated streams. To give a specific example about the difficulty of the dichotomy offered is that the most prominent contemporary apostle of Recent-Out-of-Africa is Spencer Wells. Wells’ mentor at Harvard was Richard Lewontin. Lewontin’s mentor was the very Theodosius Dobzhanksy that Boaz and Ciochan point to as an exemplar of an “alternative tradition” to the scientists that brought us the molecular revolution in human origins. 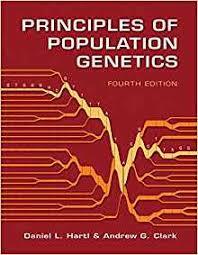 Population genetics and its mathematical models may offer hypotheses to test, but the tests will often be methodologically oriented to the molecular level. This is the age of synergy. Related: The authors use some data from John Hawks in their argument. “Bloggers” make a difference! 1 – In Albion’s Seed David Hackett Fisher documents similar “boxing” traditions among some of the Appalachian Scotch-Irish. 2 – The Multiregionalists returned the salvos in kind in the PC-war. In Race and Human Evolution Milford Wolpoff and Rachel Caspari basically end up concluding that Recent-Out-of-Africa is simply a narrative of the first genocide, while the Multiregional Hypothesis offers the vision of worldwide peaceful genetic exchange between demes and concomitant transitions toward sapiency. 3 – The beauty of metaphors is that they are easily contorted into the conformation you might fight congenial. 4 – I found the authors’ presentation a bit muddled, they argue for example that H. erectus and H. heidelbergensis were not interfertile, that they were separate species, but the latter was also far more closely cognate with the former than H. sapiens neandertalis and H sapiens sapiens. 5 – There is some evidence, to give just one example, that certain mitochondrial types confer upon their carriers greater longevity because the genome does not degrade as fast. Mitochondrial degradation is the result of the fact that the nuclear DNA repair mechanisms are not operative in the organelle. 6 – Right now the balance of the evidence suggests to me that our ancestry is mostly African in the short term even if there is evidence of exogenous* genetic material from other homonid populations through hybridization. * I’m not sure if I’m using exogenous correctly, but what other scientifically pretentious term would work? I found another source of international comparisons of social mobility here. I wouldn’t pay much attention to the analysis, which is superficial, but the data are relevant. The top and bottom classes are ‘out of sight’ for different reasons: the top because they want to keep away from envious prying eyes, and the bottom because they are mainly in institutions. 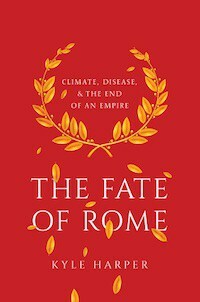 I suspect most long-time GNXP readers would be surprised to know that over the past few hours I just read a book that sported blurbs from the modern Malthus, Paul Ehrlich, anti-transhumanist author Bill Mckibben and world famous chef Alice Waters. But Gary Nabhan’s book, Why Some Like it Hot, intersects with a personal interest of mine, the relationship between biological predispositions and our gastronomic preferences and nutritional “optimum.” I have posted before on the genetic factors that shape our experience of taste multiple times (see here, here and here), so readers will find the chapter which is reflected in the title of Nabhan’s book covering familiar ground, with talk of PTC, PROP and “supertasters,” and an emphasis on the physiological response to capsaicin. My interest in the topic is shaped by my own life experience. The natal cultural background into which I was born is rather liberal in its use of spices, and in particular in the apportionment of chili pepper. But even among other Bengalis the extremes to which my paternal side used chilis was considered rather exceptional, and living alone, without parental supervision, I have taken it to the “next level,” and only the fact that I can not dispense with 2 hours every day writhing in pain due to stomach cramps prevents me from the copious consumption of habañeros. Instead, I settle for a small dispenser of cayenne which serves as a constant flavor companion. In past I have wondered if this predeliction of mine was partially heritable in the genetic sense, or simply imitation of my father. More precisely, I was curious as to whether there was genetic variation underlying some of the phenotypic variation on this trait, so 6 years ago I undertook to scour some back issues of The American Journal of Human Genetics, and that was where I found the first references to PTC, PROP and the possible correlates of the sensitivity to these chemicals with various natural flavors. I have reviewed much of the literature in detail at the links provided above, so I will simply quote Nabhan, “About 25 to 30 percent of all Mediterranean residents were taste-blind, while only 7 percent of Lapps, 3 percent of the West Africans, and 2 percent of the Navajos sampled were notasters. In Asia, taste blindness varies from 43 percent in India to 7 percent in Japan.” I want to both emphasize the the modal frequency of taste blindness in South Asia, as well as the possible tenuous connection between “taste blindness” and insensitivity to chili peppers. As my links above make clear, attempting to scry a proportional relationship between taste blindness and particular cuisine or use of spice can be a sketchy proposition. Nevertheless, I think the data will be firm enough in a few years that we can start decomposing the relationship between genetics and cultural traditions in the domain of food (for the record, I am a PTC non-taster). But Nabhan’s book is far more than about chili peppers. He focuses a great deal on nutrition and its evolutionary background, as well as attempting to offer cost vs. benefit analyses in light of his values. All for the good, but there are a few problems with his narrative. Several times in the text Nabhan declares he is not a “Darwinian.” His assertion is grounded in his conception of Darwinian theory as assuming a “slow” and “gradual” evolutionary change, while Nabhan believes that selective sweeps, genetic drift, population isolation and persistent directional selection can alter phenotypic expression and genotypic frequencies on the order of thousands (dozens of generations), even hundreds (a few generations), of years. He notes that his thesis is predicated on microevolution. Well, I guess it shouldn’t surprise us that evolution doesn’t make sense to John Q. Public if a man who promotes himself as an “ethnobiologist” and “nutritional ecologist,” and admits to taking genetics courses in college, can’t really keep things straight (PhD. Arid Lands Resource Sciences, University of Arizona, 1983 M.S. Plant Sciences, University of Arizona, 1978). In The Genetical Theory of Natural Selection the modern day prophet of Darwinism, R.A. Fisher, spent half his book discussing the impact of microevolutionary pressures on human societies exactly on the time scales that Nabhan assumes is not “Darwinian.” It seems that Nabhan conflated macroevolution with microevolution, and forgot that the latter is the true heart of Neo-Darwinian theory. I pointed to Fisher’s Fundmental Theorem of Natural Selection in an earlier post, and an astute reader suggested that there are serious problems with this model in a multi-locus context. Even disregarding that many of the traits that Nabhan alludes to are single-locus, the empirical “breeder’s equation,” R = h2*S1 offers one a sense of the rate at which evolution can work. Something like the black death, or perhaps a period of famine, could certainly result in a great deal of selection, and as Nabhan himself states, many populations suffered endemic malaria or frequent drought related die offs, so it is highly plausible that microevolutionary forces are working within conventional Neo-Darwinian models could effect widespread genotypic change. Additionally, though the term never comes up, I can’t but help thinking that Nabhan is simply presenting an adaptive landscape narrative (epistasis, geographical isolation, etc.) as formulated by Sewall Wright, as much a Darwianian as Fisher (though perhaps not an ultra-ultra-Darwinian). of the natural world and we now reshape our own environment of selection, so the adult metabolism of lactose is likely a product of human choices in domestication subtly changing selective pressures on the population doing the domesticating. The assumption of fixation of allele frequencies (that is, tendencies are monomorphic) in an EEA in the nutritional realm probably does do a great deal of harm, and I think Nabhan’s stridency is probably warranted. Death to the Universal Diet! Coevolution between culture and genes plays a large role in Nabhan’s narrative. Sardinian’s relationships with the fava bean and their evolutionary response to endemic malaria is a tight and relatively tidy tale that offers sharp insights on the importance of microevolutionary forces. This was probably the reason that this was the first heavily scientific chapter. The problem, from my vantage point, is when Nabhan begins to move from specific cases to general political-philosophical implications. When a dust jacket declares that the author is a leader in the “Slow Food Movement,” you have a good indicator as to the conclusions the author will reach from the data at hand. I can agree with Nabhan that doctors and public health policy makers need to consider the genetic vulnerabilities of Native Americans to alcohol when allocating scarce resources so as to optimize yield. I can also agree with Nabhan some interpersonal confusions about the character of foods can cause a great deal of stress in one’s life, I suspect some individuals become offended when I pepper their food (ie; they prepared it), but I also suspect those same individuals would be dousing their dinner with cayenne if they ever had to face the gaping void of blandness that often stares me in the face. But an emphasis on cultural diversity, preservation of indigenous traditions and a precautionary turning back upon genetic and medical advances in favor of the “old ways” seems a bit too far. I am to some extent likely caricaturing Nabhan, but not necessarily painting a false picture of his outlook, which to me resembles Russell Kirk more than J.S. Mill (the old is better than the new, the particular better than the general). His portrayl of nutritional disaster that befell indigenous peoples of the Americas and Australia thanks to their flash immersion in modernity is spot on in its description. Many isolated populations seem to bloat up and contort their internal catabolism of sugars when they become part of the modern agricultural-industrial distribution system. Nabhan admits that Europeans and other agricultural peoples probably went through selection pressures after the Neolithic revolution so as to be able to more efficiently (or less deleteriously) metabolize grains, and though the experience of indigenous peoples is not analogous (thanks to modern medicine) it is not totally inaccurate to say that they have spanned centuries in generations when it comes to their lifestyle. Instead of “genetic fixes” via gene therapy (he strangely avoids selective abortion, which wouldn’t alter the germ line in a direct fashion) or GMOed crops Nabhan councils many of these people return to their traditional foods. It is this drastic prescription where I think he has unmoored himself from science to values. He talks enthusiastically about Australian Aboriginals returning to the hunter-gatherer foraging patterns of their ancestors. It might be a lifestyle they wish to endure for the sake of their health, but would they see a “genetic fix” as such a terrible price to participate in a 9-5 modern world where there simply isn’t enough time to go into the bush every day to retrieve wild game, herbs and roots? Nabhan does not seem particularly sympathetic to individual choice, and well he shouldn’t be as one of his close friends was a Navajo Indian who died of self-induced alcoholism, but, he also constrains the field of action to the dead past and the sub-optimal present. He doesn’t see much hope in a future where reason can “cure” many “ailments” that are the legacy of our genes. Who is the “Panglossian” now? If Nature made it, don’t break it. Despite his nostalgia for the “old ways,” modern Western medicine has done great things (or does Nabhan only visit a Navajo shaman?). The quality of life that hunter-gatherers have is not all that, judging from the fact that many of them stream into cities to work as menial laborers when they get the chance, disappointing their “defenders” in their relative fickleness and preference for the consumer goods of the global culture. Additionally, this also does not speak to the fact that some of the building blocks that Nabhan uses to construct the edifice of an organic, holistic and functionally adaptive traditional culture are tenuous and scattered. He cautions us toward being too greedy in our need to erect a simple model and redesign nature based upon it, but he engages in the same sin himself, mapping fuzzy and not “proven” science directly on to his values. I am not here to deny that “Slow Food” and traditional ways have any use, or that people shouldn’t be allowed to choose them, but Nabhan seems to assume that there is no way most “indigenous” people would want to live as moderns, and that the predicament they are in is in part an outcome of the choices they make in their own life. He brings up the term “bioculture,” and minimizes what clearly seems a Navajo genetic illness related to blood albumin and its response to a particular chemical found in desert plant because it brings life experience to the individual and furthers the cohesion of the tribe. I can just see him lecturing, “some must suffer for the tribe to prosper.” This sort of functionalist argument is not something I am particularly sympathetic to in terms of the values I espouse as a post-Enlightenment individualist, we do not today live for society, we live within society. Nabhan has lost the trees in the forest. I suspect in his everyday life Gary Nabhan also lives within society rather than for it (after all, it is a globalist consumer machine), and I wish he were more open to offerring others the same opportunities, and granting that they might not be totally irrational to try their luck with the tool that is modern science. Appeals to “holism,” “traditions,” and “spirituality” sound to my ear an awful lot like noble savage romanticism. Finally, I would add that though Nabhan tends to focus on populations, as he acknowledges in the near future we will be able to zoom in on the scale of individual genomes. Decisions must be made in the light of the information on hand, and in the age of only sketchy information about individual genomes populationally relevant data is crucial, and so I can grant the importance of tradition mediated through the group in this context, but it seems somewhat superfluous in the looming post-genomic age. In short, lots of interesting stuff collected in one place (though do a literature search, his interpretation is somewhat sketchy often), but also a bizarre window into how the pro-traditionalist-if-you-are-not-white Left might view issues of human biodiversity. 1 – Response = narrow sense heritability * Differential between total population mean and breeding population mean. 2 – See here for an elucidation of “Major Axioms” espoused by some on this weblog.